With digital transformation high on their agendas, most businesses will be keeping a close eye on the latest trends in enterprise IT and technology, including networking and security, and we can expect to see these featured prominently at VMworld Europe this year. The overarching topic, of course, will continue to be cloud in all its forms, particularly given VMware's developing relationships with AWS and other cloud providers. Indeed, while VMware claims to run one of the largest private clouds in the world, it has been expanding its public cloud presence over the past year. In fact, VMware has made good on its vision of connecting and protecting applications and data, regardless of where they sit-from the data center, to the cloud, and the edge. Hybrid cloud is becoming more widely adopted by the enterprise, so we can expect to see a focus on this and, as with many businesses, VMware will be exploring the benefits and the challenges of operating in a multi-cloud environment. Edge computing is also likely to be a hot topic, following VMware's announcement of its move into the space at Mobile World Congress in February. While edge computing will lead to speed and performance benefits, it's important to note that managing and making sense of the sheer volume of data generated from the billions of IoT endpoints at the network's edge will require a degree of visibility across every aspect of the IoT lifecycle that traditional network monitoring and assurance tools may no longer be able to provide. In addition, as businesses increasingly look to enhance efficiency, agility and cost-savings, we expect to see discussion around the gathering momentum of software-defined data centres (SDDC). Their adoption presents new challenges, however, adding greater complexity to the network. Consider VMware's NSX platform--sixteen million VLANs can be deployed across a new network from east to west, compared to four thousand in a traditional design environment. But without visibility into these new environments, businesses are unable to assess their security posture, or tell if services are performing as they should. We therefore expect to see more organizations looking to leverage deep insights that go beyond traditional north - south traffic views, and span the entire virtualized infrastructure, from the perimeter to the edge. Only with visibility that includes east - west traffic, and all of the inter-relationships, such as the applications, protocols and elements involved in the service delivery process, can businesses have a complete view into application performance, security protection and user experience. Lastly, with more business processes being automated, we're seeing a rise in the use of artificial intelligence and machine learning solutions helping to identify and prevent problems before they occur, as well as in simplifying security. Each of these technologies plays a crucial role in a digital transformation, but cloud is the key enabler. We can therefore expect a range of fascinating and forward-looking talks and demonstrations, but we can be confident that cloud and the network will dominate everything. Hallawell is responsible for the go-to-market positioning of NETSCOUT. Previously, she was VP of corporate strategy for Arbor Networks where she led strategic planning and corporate development activities. 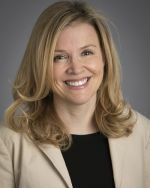 Prior to joining Arbor, Hallawell was VP of corporate strategy at Sophos, a global IT security vendor where she led M&A strategy, market and customer insight, and global corporate communications. She was also research VP at Gartner where she led coverage of the endpoint, email and web security markets and counseled many of the world's largest corporations, governments and technology providers on technology, market trends and their strategic implications.